Mazal tov un simon tov! The Best Philadelphia Bat/Bar Mitzvah Photographer. 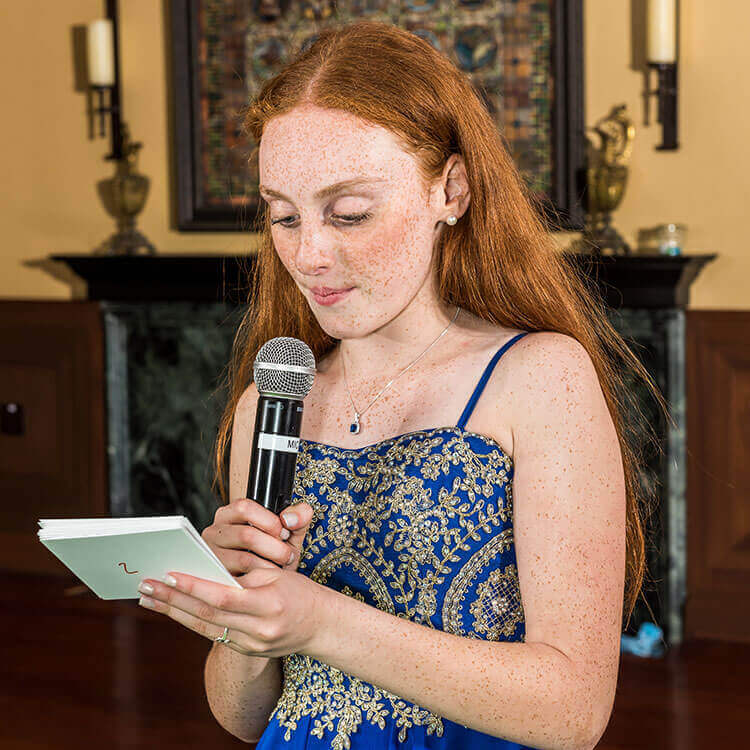 With over 10 years experience photographing bat and bar mitzvot throughout the tri-state area, we can provide recommendations to make the flow of the day seamless and care-free. 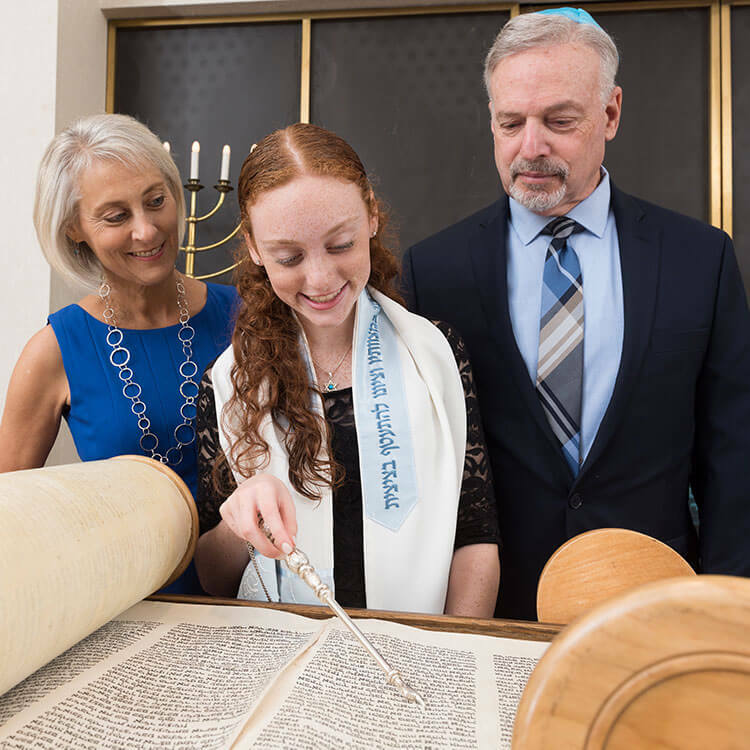 The day of the mitzvah usually starts with a trip to the local synagogue where the young man or woman is given an opportunity to read the Torah for the first time. We are well experienced with synagogue photography and understand the nuances and holiness of the ceremony. We are often able to coordinate with the rabbi to arrange for silent shooting (completely flash-less and silent photography) during the actual ceremony. Often times we can arrange a pre-ceremony photo-shoot to get some images with the torah, tefillin, or the haftarah. We can also unobtrusively capture the "showering of candles" that often occurs after the ceremony. While the guest of honor has mini shoot, an assistant photographer can be on hand to capture all the decor, party favors, cake, lighting, and other festive items specially made for the big day. We make sure to document all the special touches that go into making the day great. For the candle lighting, we have usually have two photographers covering the ceremony for maximum angles as well as alternating tight and wide angle shots that would show the entire table. 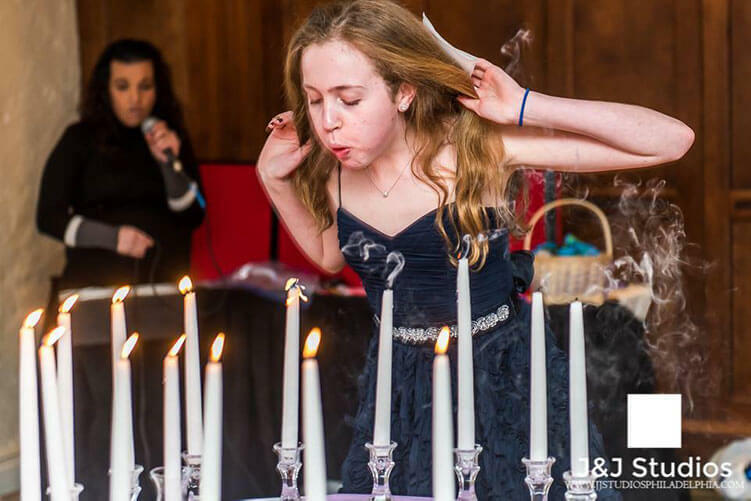 We also make sure to get one posed shot like the one above with each group as they light a candle as these photos make for some lovely thank you cards after the bar mitzvah is over. During the reception it is tradition to raise the bar/bat mitzvah in the hora dance typically to the music of Hava Nagila. Family members and other honorees are also raised during this joyous dance, following the Israeli tradition. At some point during the day we will take the birthday boy/girl out for a mini session to capture some portraits that communicate his/her essence. This can be as simple as a few shots at the synagogue, or can include multiple outfits and locations. Sometimes the birthday boy or girl will want to travel to a meaningful location nearby such as a school, park, or other venue. We bring studio quality lighting to make sure we can take beautiful family formals no matter what the situation. In this situation, this staircase was dimly lit, but with a few studio strobes we produced bright, beautiful family portraits that adorn many family's walls. After many candle ceremonies, the guest of honor is invited to chant the haftorah as a final honor. Sometimes this is done at the synagogue itself, but other times it is saved for the reception. The maftir is from the Hebrew "to complete" and signifies the maftir aliyah which is a great honor in the mitzvot tradition. This is where the birthday boy/girl will chant the Haftorah as a final honor of the day. Simon Tov U'mazal Tov! As the night wears on, we try and bring the bar or bat mitzvah to the center of the dancefloor for a wide angle group shot which makes for a great wall size print for their room to commemorate the party. See more bar and bat mitzvahs! Thank you! Someone will be in touch within 24 hours. J&J Studios is a Limited Liability Company serving the Greater Philadelphia, New Jersey, New York areas and available for travel worldwide. It is an inclusive studio welcoming ALL without regard to gender, race, color, creed, ethnicity, sexual orientation, disability, or ancestry in any of its activities or operations.